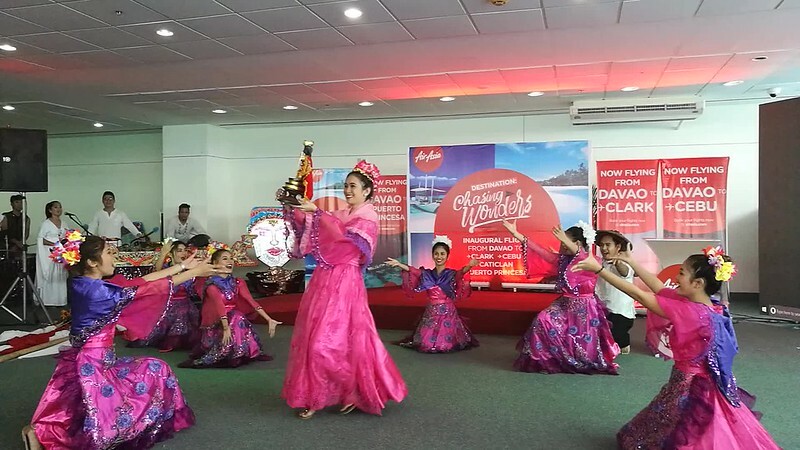 Discover More Fun Under the Sun as AirAsia heats up your summer with new flights and increased connectivity to Davao, Cebu, Boracay, Palawan and Clark! 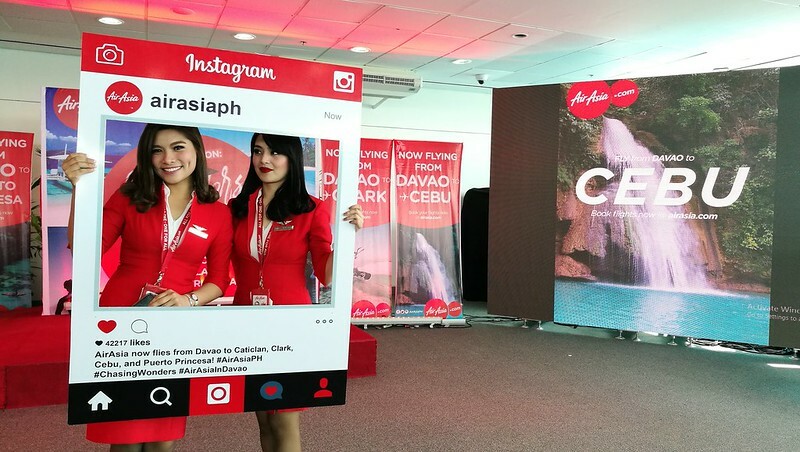 DAVAO CITY, 22 April 2017 – The hype continues to build up for AirAsia as the World’s Best Low Cost Carrier today began servicing new routes from and to Davao, Cebu, Clark, Palawan and Caticlan/Boracay. They have promo fares from as low as P788 all-in are up for grabs now at www.airasia.com. The first AirAsia flight from Davao to Cebu took off from Francisco Bangoy International Airport past 10:40AM with Philippines AirAsia Director of Flight Operations Captain Gomer Monreal as operating pilot assisted by Captain Bernardino Perez and flight officer Leonardo Orendain. 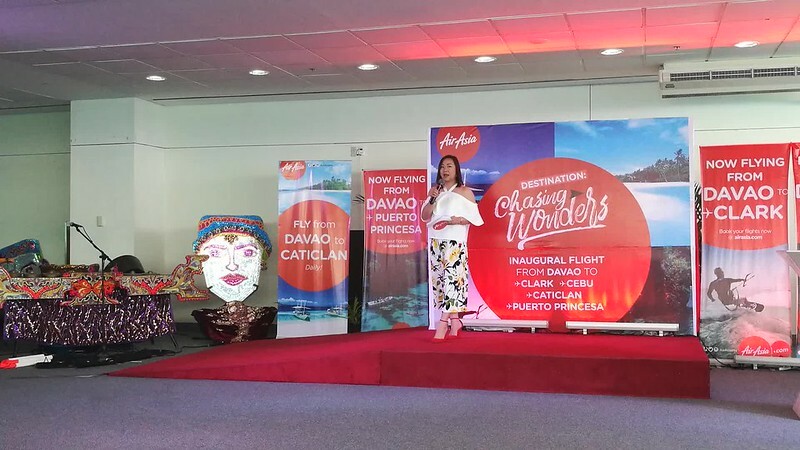 “From highlands to islands, AirAsia is officially welcoming summer with new and increased connectivity from Davao and Cebu to Boracay and Palawan and onto to the northern part of the Philippines via Clark Airport in Pampanga,” Captain Monreal said at the send-off ceremonies held at Davao airport grounds. Officials and guests from Department of Tourism in Davao City, CAAP (Civil Aviation Authority of the Philippines) and local hotel and tourism partners joined the send-off celebration. (From L-R) Chairman of Visit Davao Fun Sale Benjie Lizada, Philippines AirAsia Director of Flight Operations Captain Gomer Monreal, Representative from the office of City Mayor Councilor April Dayap, City Tourism Operations Officer Gene Rose Tecson and Assistant Airport Manager Aiza Radjab at the Francisco Bangoy International Airport during the Send-Off Celebration of the Inaugural Flights from Davao to Clark, Caticlan, Cebu and Puerto Princesa last April 22, 2017. 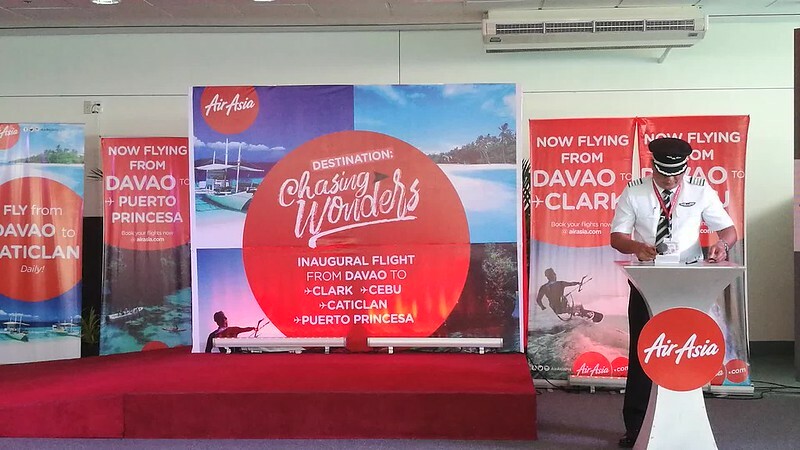 Aside from twice daily flights between Davao and Cebu, AirAsia also formally opened daily flights from Davao to Boracay; to Palawan at 3x weekly and to Clark at 4x weekly using Airbus A320s or jets which can accommodate up to 180 guests per flight. AirAsia also maintains 3x daily flights between Manila and Davao. AirAsia flight Z2522 from Davao arrived in Cebu Mactan International Airport past 11:45AM with 98% load and was welcomed by water salute from Mactan Cebu International Airport management followed by a cake-cutting ceremony led by officials from GMR-Megawide Cebu Airport Corporation (GMCAC). “AirAsia has been painting Cebu and Davao skies red and we are delighted to announce that more and more red planes are on the way as we expand and grow operations in Visayas and Mindanao. 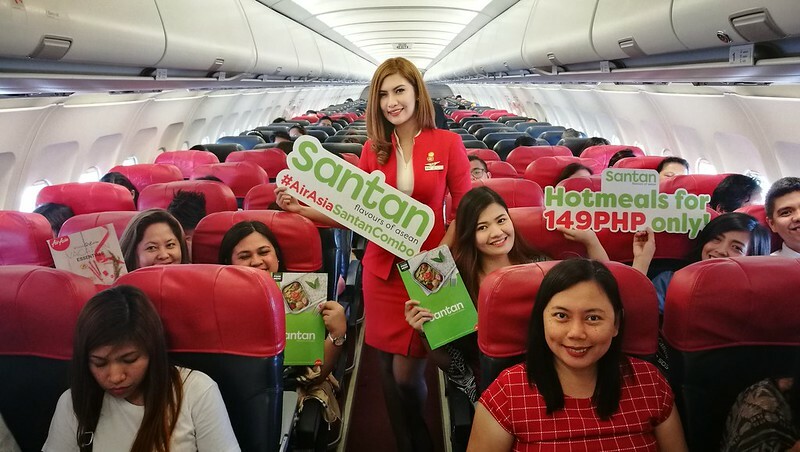 There is so much growth potential here for business and tourism with AirAsia’s seamless connection now available for domestic travels and very soon for international expansion,” Captain Monreal said. From Cebu, AirAsia added two new flights to Davao daily, and to Palawan and Boracay via Caticlan daily. 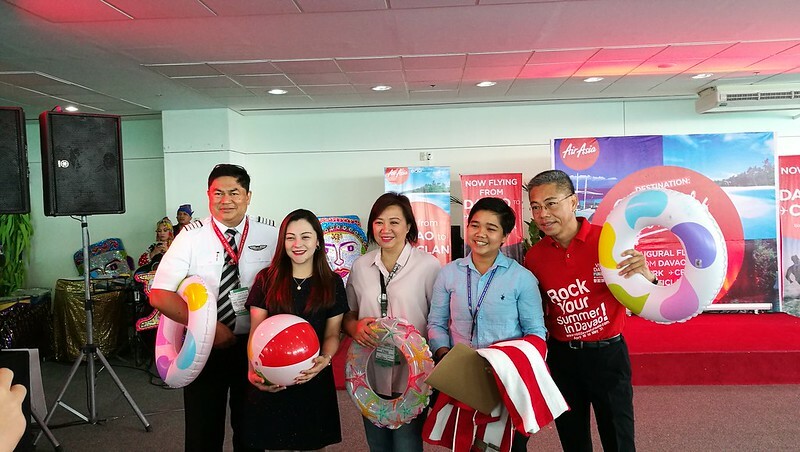 AirAsia launched Cebu – Singapore and Cebu – Taipei in November last year and increased Cebu – Kuala Lumpur flights from three times to four times weekly as part of its commitment to boost tourism in Southern Philippines. The airline is also servicing Cebu – Incheon/Seoul in South Korea. Flights from Davao to Clark, meanwhile, will officially recommence tomorrow (April 23) providing Davaoenos access to Northern part of the Philippines via Clark International Airport in Pampanga. “Clark is the gateway to Baguio, the summer capital of the Philippines, and amazing attractions like surfing in La Union; culinary tours of Pampanga; beach and water sports activities in Pangasinan to eco-adventure in the highlands of the cordilleras and much more await every traveller this summer,” Captain Monreal added. 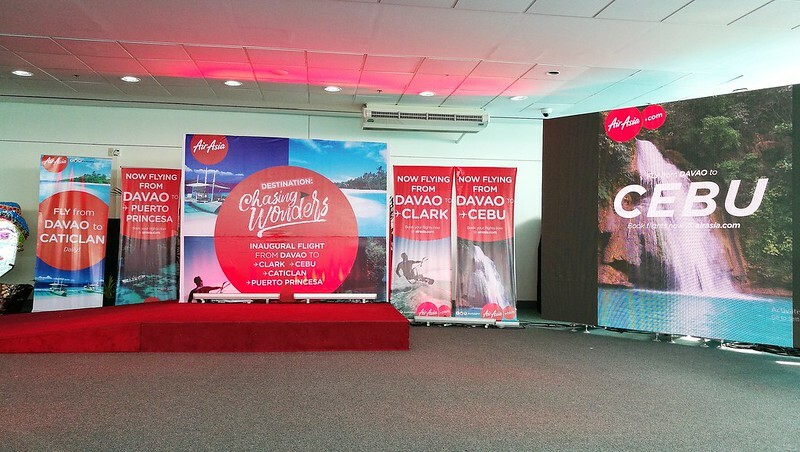 AirAsia returned to Clark airport in March this year following the launch of Clark-Kalibo operating 3x weekly. To celebrate the launch of six new domestic flights, AirAsia is offering promo fares from as low as P788, all-in now available at www.airasia.com for booking today until April 30 and valid for travel between September 5, 2017 to February 8, 2018. 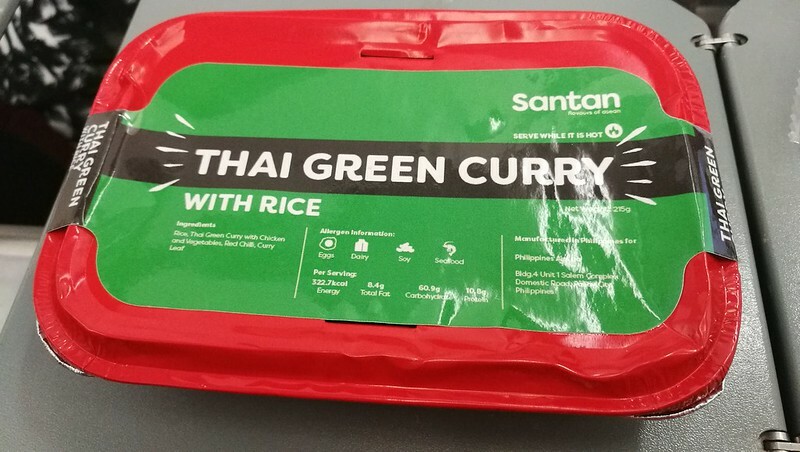 … Other choices are: Nasi Lemak, Chicken Rice and Chicken Adobo now available for pre-book order at only P180 with choice of bottled water, coffee or soda and P149 for hot meals only when purchased on board any AirAsia flights. “The AirAsia Group has swiftly broken travel norms around the globe and has risen to become the world’s best now running for eight consecutive years by Skytrax which is the global benchmark of airline excellence. Our commitment in the Philippines is anchored on the same dream to make air travel more affordable, more accessible and to provide only the best quality service that every Filipino deserves,” Captain Monreal said. Thanks http://www.DavaoLife.com. I am making a post about the tours in http://PRworksPH.com. Will include a link to your site. Cheers!